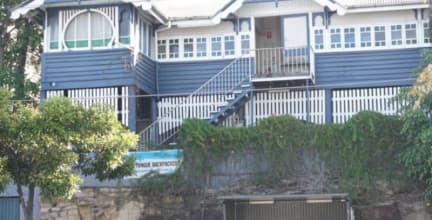 Bluetongue Backpackers, Brisbane, Australia : Rezerwuj teraz! Best Budget Backpackers in Brisbane; With 4/6 Bed Dorm Rooms, Budget Double Rooms, Private Aircon Double Rooms, King Aircon, Double Ensuite Rooms; Whatever You Need, We have the Room to suit your Budget & Style! Free WIFI Free parking Free Netfix Free Playstation , All Amenities Shared. ***To Avoid Bed Bugs & the Regular Travellers Pests, We Please ask that you Refrain from bringing your own Sleeping Bags/Bedding; We Provide you with Clean Sheets & Blankets on Arrival so no need to worry. ***Please Note late arrival**** IMPORTANT READ ME! ****If you are arriving late or after reception closes after 9 am - 2 pm Monday to Sunday. Then your booking will need to be charged in full and keys can be left for you. Please contact us for instructions and procedures if you are arriving outside reception hours to avoid disappointment. Best budget backpackers in Brisbane! We Guarantee Best Prices Around for our Room Styles! Be Sure to Ask us About our Monthly Deals & Rates for Extending your Stay with Us. Dorm room bookings - bookings of 2 or more guests are NOT guaranteed to be in the same dorm room.We will do our best to accomodate BUT is dependant on availability.